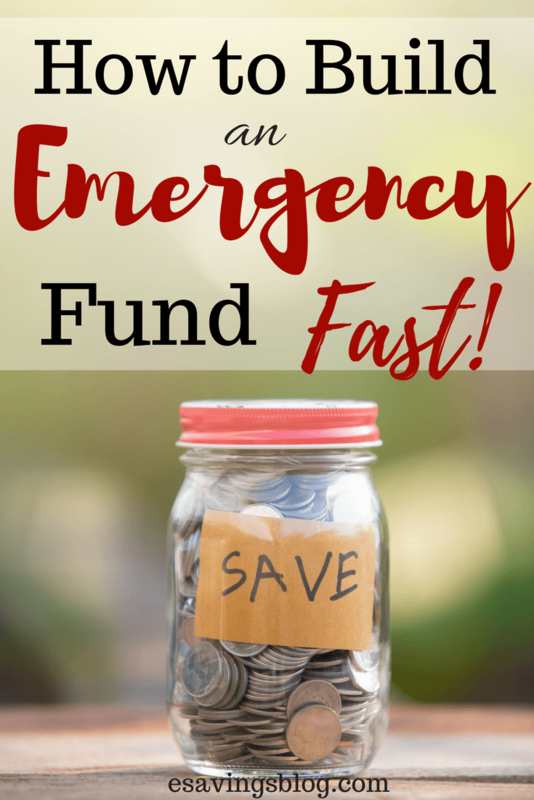 How to Build an Emergency Fund Fast! Building your emergency fund is a critical part of personal finance. An emergency fund allows you to be prepared when something unexpected happens. An emergency fund allows you to be able to turn an emergency from something that destroys your finances into something that is manageable. So what do you do if you don’t have an emergency fund? Check out these tips on building an emergency fund fast. Do you have money for an emergency? If not you need to build an emergency fund fast! So how much money do you need in your emergency fund? It’s recommended that you have at least $1000 in your emergency fund at first. If you follow Dave Ramsey, he recommends you set up your emergency fund with $1000 even BEFORE tackling any debt. Having this money in case of an emergency will ease your mind and allow you to be able to focus on paying off debt and other financial goals. You want to get this first $1000 as soon as possible and then work on saving enough money to cover 3 to 6 months of expenses. 1. Find out if you have any missing money. I wrote a whole article on finding missing money from old accounts, policies and more. You can go to http://www.missingmoney.com/ right now or check out the article I wrote on finding unclaimed money. I found a little under $100 just by doing this one step alone! 2. Start a side hustle. There are a lot of legit work at home jobs that you can start on the side and earn some extra cash doing. I created a whole page on earning extra money you can check out here. It could be anything from selling stuff online to starting a part-time freelance job. Are you good with the computer? Consider being a Virtual Assistant. Check out this free list of VA services you can offer right now! Love to write? Consider doing some freelance writing. You can check out this post on How to Become a Freelance Writer to find out how to start as a freelance writer. Sell stuff on Amazon! I know a few people who make a good amount of money selling on Amazon. Check out this free course about selling on Amazon to help you learn how. You will be surprised what you can earn money doing so definitely check out ways to earn extra money and see what works for you. 3. Create a budget if you don’t have one. 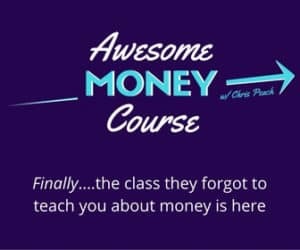 You may be thinking, how does a budget help but you will be surprised that just creating a budget allows you to see where you can get money right away. You need to be able to pinpoint where all of your money is going in order to see where you can save money and add it to your emergency fund. When you go through your budget you may find that you are wasting money in certain areas and then you can cut down those expenses and put it towards your emergency fund. Do you have a gym membership that you never use? Are you paying fee’s on a bank account that you can get waived or avoid if you set up direct deposit or use your debit card 5 times a month? Maybe you’ve been being charged for a service you no longer use or you’re paying too much for cable. These are just a few examples. 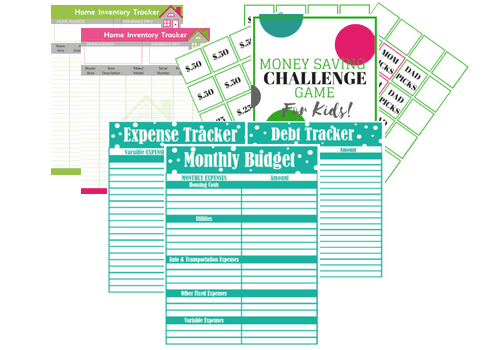 Check out my article, creating an effective budget to get help with creating your budget and get free budget printables. 4. Use coupons to buy things you need. Coupons are really powerful when it comes to cutting down your expenses. Even a few coupons each trip to the store can save you a ton of money. If you want to learn how to coupon effectively I have a free e-course you can sign up for here. Not into clipping coupons? How about a super simple app like Ibotta! Its all digital and all you do is scan your grocery receipts. Get a $10 bonus just for signing up! Meal planning I admit was something I waited on because I was always busy and really just was not seeing how it would save me a lot of money. Boy, was I wrong! Having meals planned not only saves money but it saves time which is even more important! Plan out your meals, make a list and use coupons and you can save over 50% on your groceries each month. 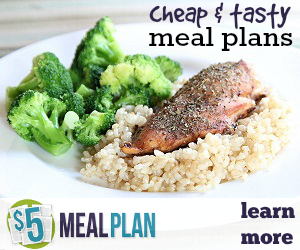 If you are new to meal planning you can check out the $5 Meal Plan and get a 14-day free trial to get an idea of how it works. I know we all know this but when life gets in the way we often forget and have to be reminded of the little things that add up over time. If you buy a $2 cup of coffee every morning and spend just $10 a day for lunch you are spending $240 a month! You can cut that in half by bringing your own lunch and making your own coffee at home. This is something that can really build up your emergency fund quickly because it is money you already have. It’s amazing how when I stopped going to the mall I suddenly didn’t need anything and saved a bunch of money. I find that if I don’t see things I won’t miss them. I always thought I was doing good with sales but a lot of times you think you’re getting a good deal and you’re really just spending money you don’t have or that could be used for emergencies. I also started to notice all of the clothes and shoes I accumulated over the years and finally decided to try a hand at selling them. I sold some items online and a bunch of other items at my friend’s yard sale. If you’re interested in selling your clothes and other items online check out selling on Poshmark and the best places to sell clothes online. If you spend a lot of money going out with friends than learning how to say no can be powerful in saving money for your emergency fund. Saying no to friends who want you to go out every weekend can be hard at first but once you start noticing how much money you are saving you will know its worth it. Suggest a night in with wine and appetizers instead of a fancy dinner out where you can end up spending $50 or more depending on where you go. Go for a walk or hike or just hang out and watch movies. 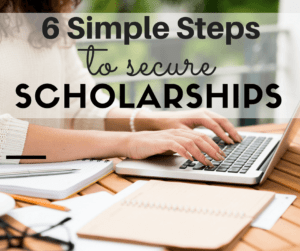 You know all those “wants” you have in your budget? Cut them out of your budget! Even if you only do this temporarily until you get your $1000 saved up (but preferably until you get 3 to 6 months of expenses saved). Hair, nails, clothes, eyebrows whatever it is that you get done often you need to cut out until you get your emergency fund established. 10. Use free gift cards to get things you need. This is more of a technique since not a lot of people know about it but there are many ways you can get free gift cards. You can use those gift cards to get things you need instead of using money that could go towards saving. One of my favorite ways to get free gift cards is ShopKick and Swagbucks. I share with you in How I Earn Free Gift Cards how to do that in more detail. Now start saving up for that emergency and make that emergency not such an “emergency” because you have the money saved! Ok, I said “emergency” a lot in that sentence but you get it right? If your car breaks down and you have no money in the bank then it can be devastating! But if you can go to your bank account to get money out to pay for it, yeah it stings a little but it’s not so bad. Even worse if you get sick and can’t work for a week then you won’t be stressed out as much because you know you have that money in the bank to pay the bills. Questions? Comments? Leave them below and I will be happy to read them and answer them. These are great tips! I have definitely found that meal planning is a way I have been able to save money. If I have my meals planned out, I am less likely to be tempted to stop for fast food. Yes it is amazing what planning can do. What a great list of ideas! I tell my readers all the time, the easiest way to save money is to stay out of the stores. If you can’t buy it, you can’t spend it. We have been living simply now for over 10 years and doing without is easier than most people think. We cancelled TV, trash collection and only grocery shop monthly. The amount of money we save each month is worth even these small sacrifices. I have never done the missing money tip and I am super excited to give that one a try! I totally agree that it is amazing what you don’t miss when you don’t see it! Combining trips and only going to the store when we truly need something (like food or diapers) is a great way for our family to save money. Thanks for sharing your tips with us at Merry Monday this week!